Senior Health & Wellness Fair for all seniors in Utah County. Thursday, October 11 from 9 a.m. - 1 p.m. at the Provo Rec Center (320 W 500 N, Provo). Free health screenings, adult immunizations, shred truck, door prizes and more. Light breakfast and lunch will be served. For more information, call 801-229-3804 or visit www.mountainland.org/health. Use your skills and experience to enrich other lives. Mountainland RSVP (Retired Senior Volunteer Program) matches volunteers 55+ with their ideal volunteer opportunity. Opportunities to volunteer out of your home or for one hour a week or more. Various locations and times for groups are offered throughout Utah County. These provide peer support, education, and hands-on training to assist caregivers. 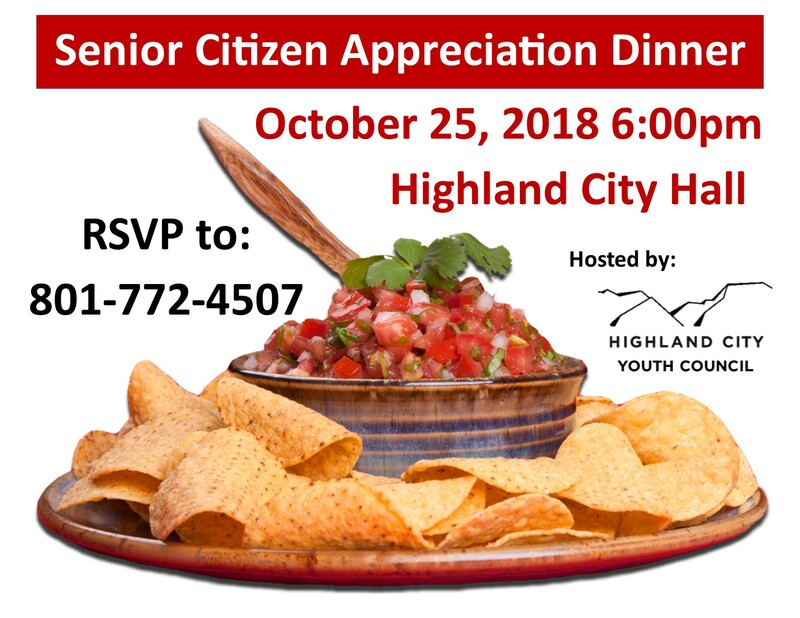 For more information please call Mountainland Department of Aging at (801) 229-3814. Contact the Highland City Arts for additional information about classes or programs being offered.